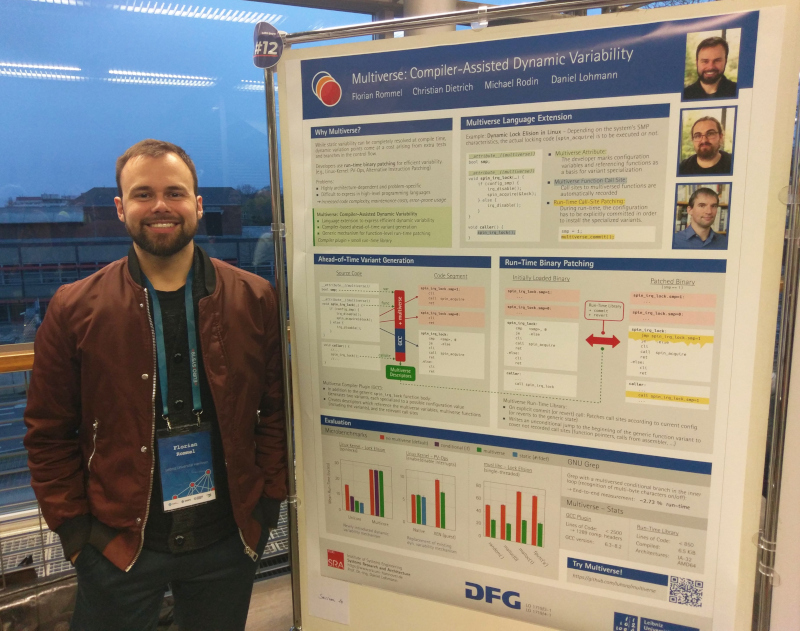 Florian Rommel presented the paper Multiverse: Compiler-Assisted Management of Dynamic Variability in Low-Level System Software at the Fourteenth EuroSys Conference 2019 in Dresden. In the paper we address run-time patching of binary code depending on some configuration variables. Based on seldom changing variables, the call-sites of certain functions are changed to ones pointing to specialized functions, for example ones without run-time checks of the configuration values. This allows specializing code at run-time, i.e. having dynamic variability. At load-time the code has all features and with our approach can be specialized at any time to any state, making run-time checks unnecessary. 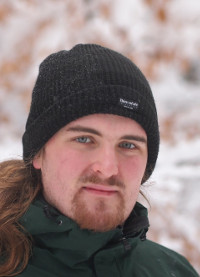 Tobias Landsberg joins the SRA team as Doctoral Researcher. 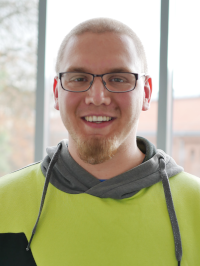 He will strengthen our research team and, in the upcoming semester, he will manage our Bachelor's seminar (Proseminar Parallelverarbeitung) and assist in our Master's project (Projekt SRA). Welcome, Tobias! 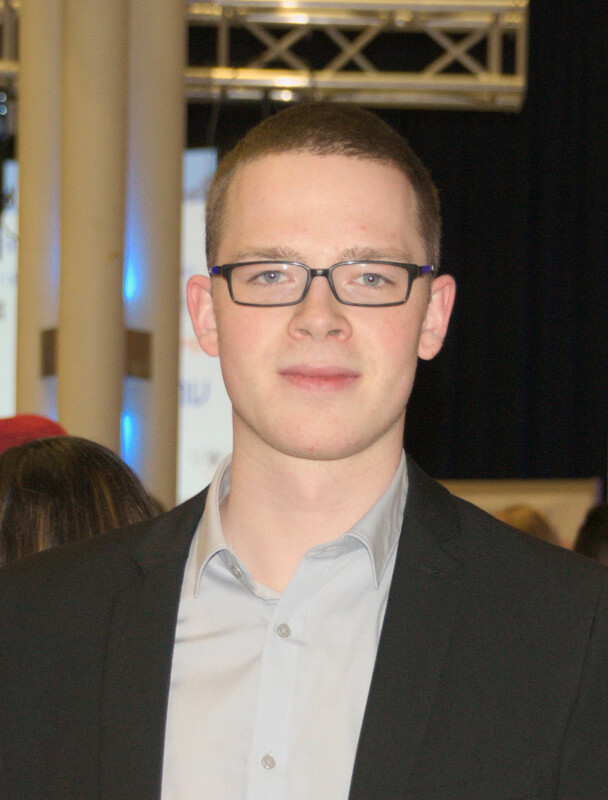 Der Student Malte Bargholz wurde im Rahmen des Tags der Fakultät für seine herausragenden Leistungen in seiner Bachelorprüfung geehrt. Seine herausragenden Leistungen stellte er, unter anderem, in seiner Bachelorarbeit InterSloth: Globales Hardware-gesteuertes Scheduling in einem Multikern-Echtzeitbetriebssystem auf RISC-V beim SRA unter Beweis und konnte seine Ergebnisse beim Herbsttreffen der Fachgruppe Betriebssysteme vorstellen. Christian Dietrich presents the paper Semi-Extended Tasks: Efficient Stack Sharing Among Blocking Threads at the IEEE Real-Time Systems Symposium in Nashville, TE, USA (RTSS `18). 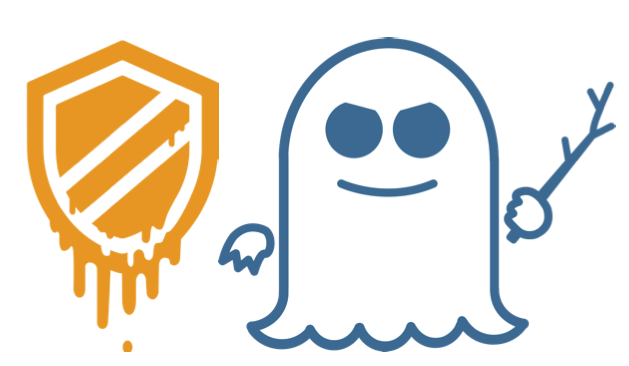 In the paper we adress the problem of worst-case stack consumption (WCSC) in real-time systems that support preemption and blocking of threads. We refine the stack-sharing granularity from the thread to function level and provide an efficient intra-thread stack-switch mechanism as well as an ILP-based analysis approach to realize tight WCSC boundaries. 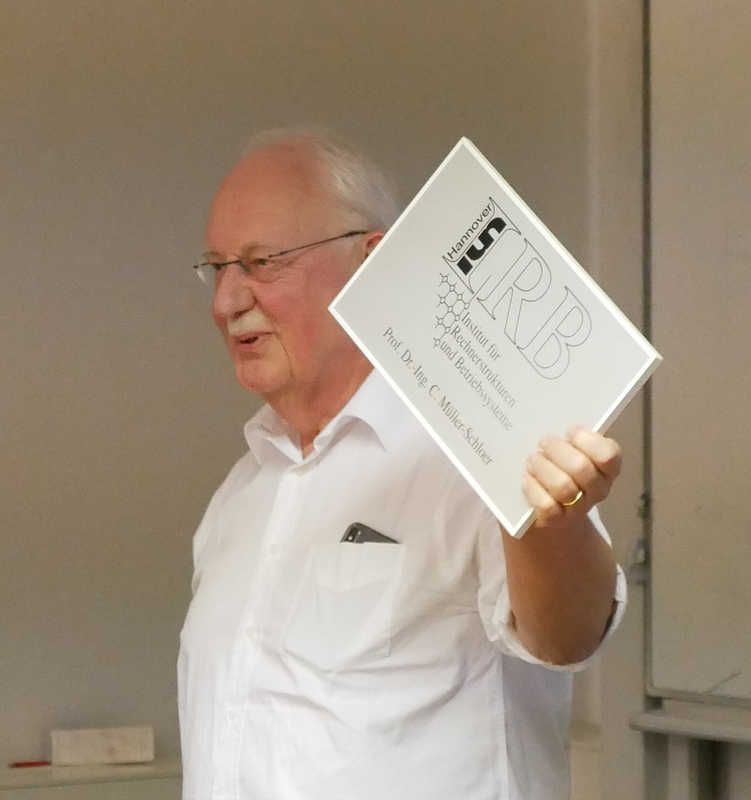 Studenten und Mitarbeiter des SRA nehmen am Herbstreffen der Fachgruppe Betriebssysteme in Coburg teil. Das SRA ist mit zwei Vorträgen vertreten. Malte Bargholz spricht über „InterSloth: Hardwaregestützte, globale und prioritätsgesteuerte Echtzeiteinplanung“ und Christian Dietrich präsentiert seine Arbeit über „Semi-Extended Tasks: Geteilter Stack für selbstblockierende Fäden“. 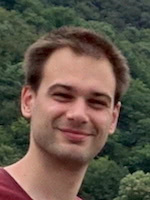 Stefan Naumann joins the SRA team as Doctoral Researcher. He will strengthen our research team and, in this semester, he will manage our Master's seminar on Coprocessors and their Management in Operating Systems. Welcome, Stefan! 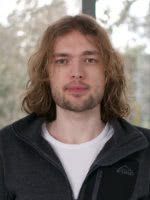 Wolfgang Schröder-Preikschat is visiting our group and will present his work in the computer science colloquium. Predictability is always subject to the underlying assumptions being made. For real-time systems, time response of processes in relation to the strictness of deadlines is of particular importance. With an additional focus on embedded systems, space and energy requirements become relevant as well and need to be considered in combination. As far as software is concerned, structure and organisation of the programs to be executed determines whether or not predictable processes will take place in a given computing system. Design for predictability is an overarching aspect that crosscuts the whole computing system and particularly addresses operating systems. This talk is about structuring principles of non-sequential programs - in the shape of but not limited to operating systems - to abet predetermination of quality attributes of non-sequential (real-time) processes, it is not about analytical methods to effectively predetermine these attributes. Issues in operating systems as to space, timing, and energy requirement are touched. Emphasis thereby is on coordination of cooperation and competition between processes, namely synchronisation. It is shown how measures of process synchronisation against the background of many-core processors cater to these issues. 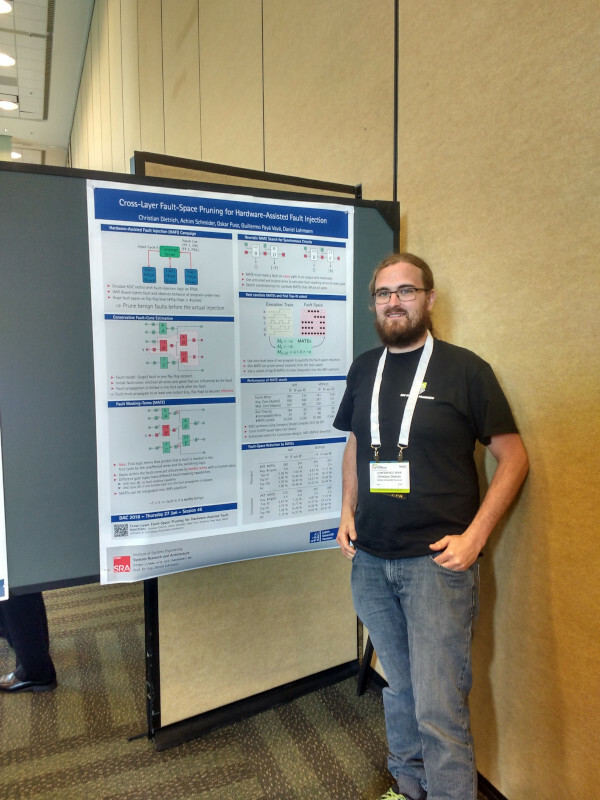 Our paper Cross-Layer Fault-Space Pruning for Hardware-Assisted Fault Injection is presented by Christian Dietrich at the 55th Design Automation Conference in San Francisco. The paper describes a method to calculate fault-masking terms that are used to prune the fault space of a flip-flop level fault injection dynamically. Thereby, we can shrink the fault space by up to 20 percent. Mit Unterstützung der Kollegen vom IKT findet das erste Gesamttreffen des neu gegründeten Fachbereich SYS der Gesellschaft für Informatik (GI) am 1. und 2. März 2018 hier in Hannover statt. Mit mehr als zwölf Beiträgen aus dem Bereich der Betriebssysteme, Kommunikationssysteme und Verteilten Systeme erwartet die 70 angmeldeten Teilnehmer ein spannendes Programm. 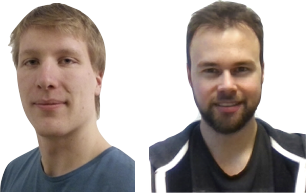 With Björn Fiedler and Florian Rommel two new Doctoral Researchers join the SRA team to strenghten our research team in the AHA and CADOS DFG projects. On the teaching side, they will help us to develop new projects and courses in the systems domain. Welcome, Björn! Welcome, Florian! Christian Dietrich presents the paper Automatic Verification of Application-Tailored OSEK Kernels at the ACM / IEEE Conference on Formal Methods in Computer-Aided Design in Vienna. 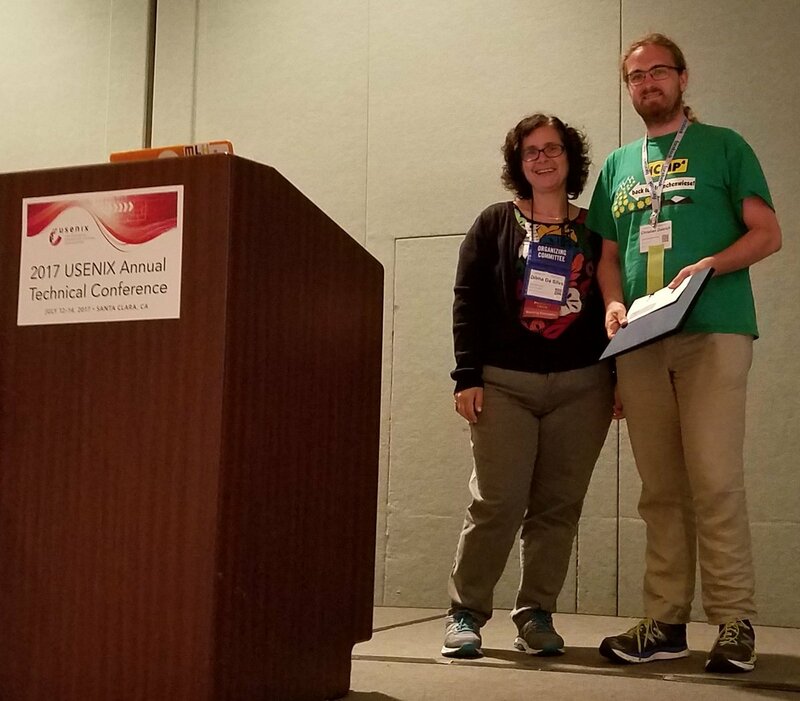 In the paper, which is joint work with the Theoretical Computer Science group of Lutz Schröder and Stefan Milius (FAU), we describe a new approach to verify an RTOS kernel not against its abstract specification, but only the semantics actually used by the concrete application. 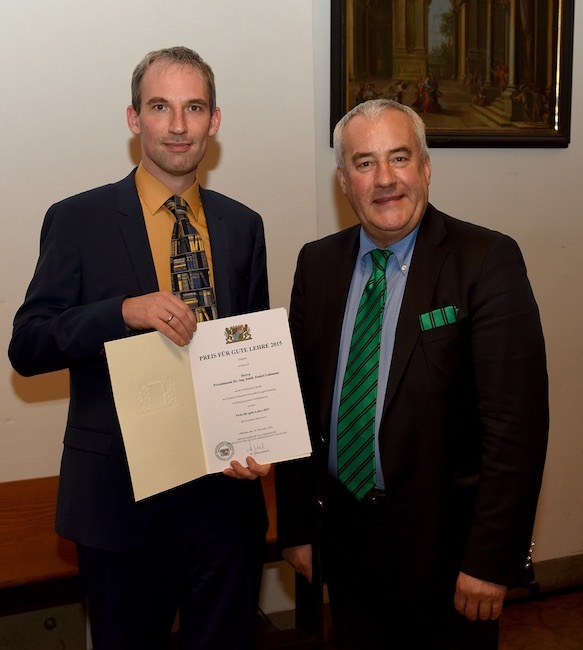 Gerion Entrup joins the SRA team as Doctoral Researcher. 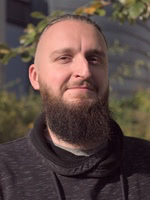 He will manage our new Master's seminar on Linux Kernel Architecture and strenghten our research team in the field of static analysis and code generation for the AHA project. Welcome, Gerion! Christian Dietrich presents the paper OSEK-V: Application-Specific RTOS Instantiation in Hardware at the ACM SIGPLAN / SIGBED Conference on Languages, Compilers, and Tools for Embedded Systems in Barcelona. 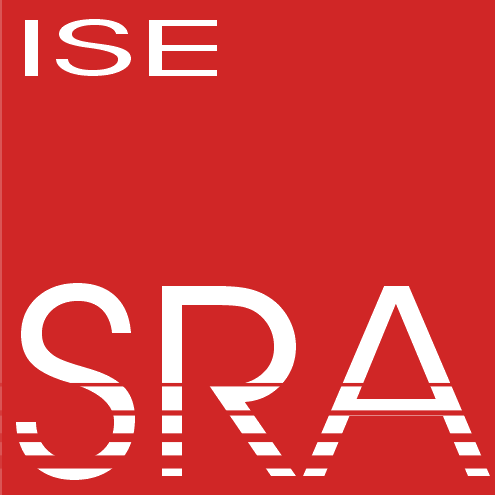 In the paper we describe our approach to automatically tailor the RTOS functionality needed by an OSEK application to integrate it directly into the processor pipeline of the Rocket RISC-V core. Our new student laboratory has been established. 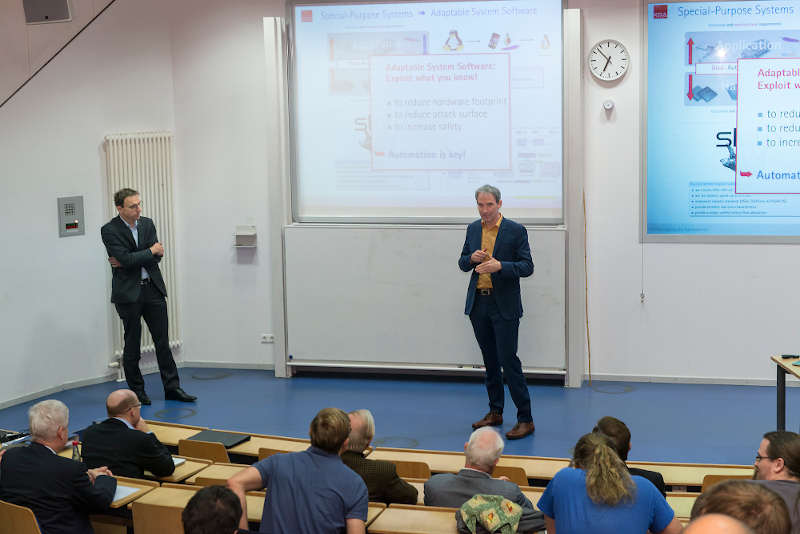 Equipped with 11 high-end PC workstations, we now have an excellent environment for our students working on their BA/MA thesis as well as new hands-on lectures and laboratories in systems. Our paper Global Optimization of Fixed-Priority Real-Time Systems by RTOS-Aware Control-Flow Analysis finally appeared in issue 16.2 of ACM Transactions on Embedded Computing Systems. The paper is an extended version of our LCTES '15 paper Cross-Kernel Control-Flow-Graph Analysis for Event-Driven Real-Time Systems, where we originally described our approach to exploit the deterministic scheduling of OSEK and other event-driven RTOS to establish a global, cross-kernel/inter-task control flow analysis for aggressive tailoring and optimization. This journal version extends the original article by an algorithmic alternative that trades efficiency for precision and broader case studies. 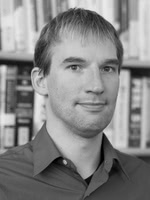 Daniel Lohmann investigates together with his doctoral researchers Christian Dietrich und Oskar Pusz principles, methods and techniques for the development of highly adaptable systems software targeted as special-purpose systems. His teaching activities will focus on the topic of operating systems and the broader area of systems software development in general.